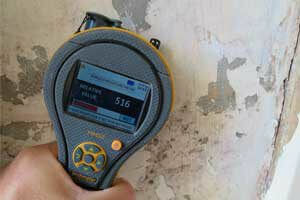 Why do I need a damp & timber survey? Damp or timber infestation issues being detected in a property through a home-buyers survey is clearly very off putting to potential buyers or may leave the property selling at a lower price than initially valued. This is a time consuming and frustrating process for both the agent, vendor and purchaser. Mortgage lenders / building surveyors often ask for a damp & timber survey report so that you and they can be satisfied that the structure of the building is free from excessive moisture, wood boring insects or wood rotting fungi that can attack the walls and timber within the building. And of course as the purchaser, you want to know that there are no skeletons, (or beetles or damp! ), in your new properties closet. You will most likely have already paid for a Homebuyers report where your surveyor has recommended that you instruct a PCA qualified Certificated Surveyor of Remedial Treatments (CSRT) to provide you an expert opinion on any damp or timber issues identified through their general house survey report. This is because your surveyor recognises that they are not an expert in all areas of surveying and direct you to someone like Atlantis Damp Proofing & Timber Specialists Ltd who have the qualifications, experience and expertise to provide the specialist information that you need. We provide you with the damp and timber survey to more than satisfy your mortgage lenders need. Can Atlantis Damp Proofing and Timber Specialists Ltd help me by providing a Pre- Sale Damp & Timber survey? In a word, yes. We are getting more inquiries from homeowners who are planning to put their property on the market and want to identify and resolve any damp to timber issues before the “For Sale” board goes up, to illuminate the stress and uncertainty of price negotiations further down the line. What is a Damp and Timber Survey? For both pre-sale and re-purchase surveys, a damp and timber survey is pretty much what it sounds like, it is a survey on a property to determine whether there is any ‘damp’ and if so what type of dampness it is. The same applies for the structural timbers, this is to check the floor timbers to determine whether there is any wood boring beetle infestation or rot. What will be included in a pre-sale or pre purchase damp & timber survey carried out by Atlantis Damp Proofing & Timber Specialists Ltd? Our surveyor will have at their disposal all the necessary equipment to carry out a full inspection of the area requested for the survey and diagnose the correct solution for the problem. The survey will generally be of a non-destructive type, however, if need be permission may be sought to remove plaster samples or to remove floorboards to further aid the survey. If you have any questions regarding the extent of the access required for a survey, please call us on 0800 098 8277. Why use Atlantis Damp Proofing & Timber Specialists Ltd? All of our surveyors either hold the CSRT (Certificated Surveyor in Remedial Treatments) and the CSSW (Certificated Surveyor in Structural Waterproofing) qualifications or are working towards them. We are also members of the Property Care Association and Trust Mark UK and we are audited on a regular basis by both these professional bodies. We carry Professional Indemnity insurance. Our extensive knowledge of the industry and local area means that any estimates for required remedial works and realistic. Any remedial works that you instruct us to do come with long term guarantees. Our surveyors have over 20 cumulative years of experience. We have many, many satisfied customers… check out our Google reviews here and our testimonial page here. Most importantly if we think a job does NOT need doing then we’ll tell you! Efficient service from the beginning. All surveys carried out by CSRT Qualified surveyors. Detailed reports provided, including clear explanations of why any remedial works are needed. Competitive prices on our range of solutions. We provide all of our customers with a 10-year written guarantee on all work carried out. Our surveys and common sense approach often puts mortgage lenders, vendors and potential purchaser’s minds at rest and allows a possible troublesome sales enquiry to proceed smoothly and in a timely manner. How much does the survey cost and how quickly can you provide the report? Our prices range for £90 – £250 +VAT depending on the size of property and the instructions received. Our expert surveyors need to charge for their time in completing a detailed inspection and thorough report which could save you thousands in the long run. We understand the time pressure and stress of buying and selling homes and we can visit your property and provide the report within 3-5 working days or within 48 hours of receiving you confirming your written instruction. For the 48-hour Express Service we charge an additional £50 + VAT but we guarantee to keep to this timescale or we’ll refund you the entire cost of your survey!! If you would like further information or to arrange a pre-sale or pre-purchase survey, do not hesitate to call us on 0800 500 3140. Alternatively, you can use our contact form opposite.